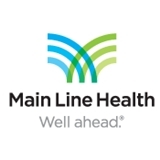 Main Line HealthCare in Westtown (West Chester) - Book Appointment Online! I could not be more pleased with the time & care devoted to this appointment that I was able to schedule through ZocDoc effortlessly! Dr. Bergan is incredibly kind & skilled. She spent more time listening than most doctors I’ve experienced! Dr Lehner is very thorough and a nice guy. Very pleasant. Asked lots of questions and gave plenty of answers. Very insightful . She's a great doctor, very knowledgeable and attentive.